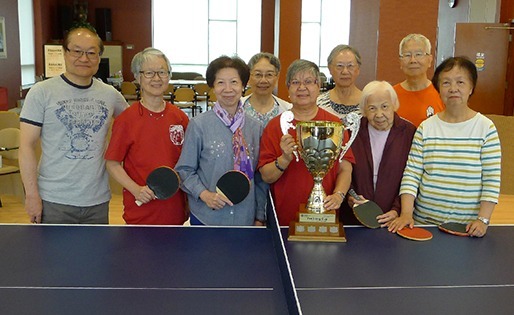 Yee Hong provides a full spectrum of community-based services, enabling seniors of diverse backgrounds and needs to maintain their independence and dignity and live their lives to the fullest. These services promote social integration and quality of life as well as counter the sense of isolation common among seniors. Yee Hong’s community-based services focus on client-centered care, upholding core values of acceptance, self-determination and respect. Our approach is holistic and multi-disciplinary, stressing on the physical, emotional, social and spiritual well-being of seniors. Yee Hong’s community-based services are culturally and linguistically appropriate, making them highly responsive to client and community needs. Each service has the support of over 1,200 community volunteers. We also reach out to other communities through off-site service centres in the York Region and North York. 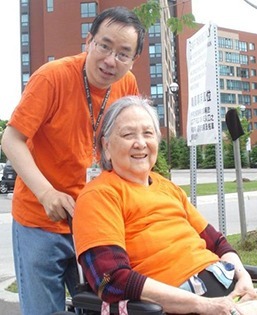 Most of the community-based services are funded by the Central East Local Health Integration Network (LHIN), Central LHIN, and Mississauga Halton LHIN. The LHIN and the health service provider work together to improve the health of Ontarians through high quality health services in local health systems. Accountability is one of the core values of Yee Hong. To ensure our community services meet required standards, Yee Hong must sign Multi-Sector Service Accountability Agreements (MSAA) and Declarations of Compliance (DC) with our respective Local Health Integration Networks. Current declarations are for the service period of April 1, 2017 – March 31, 2018.